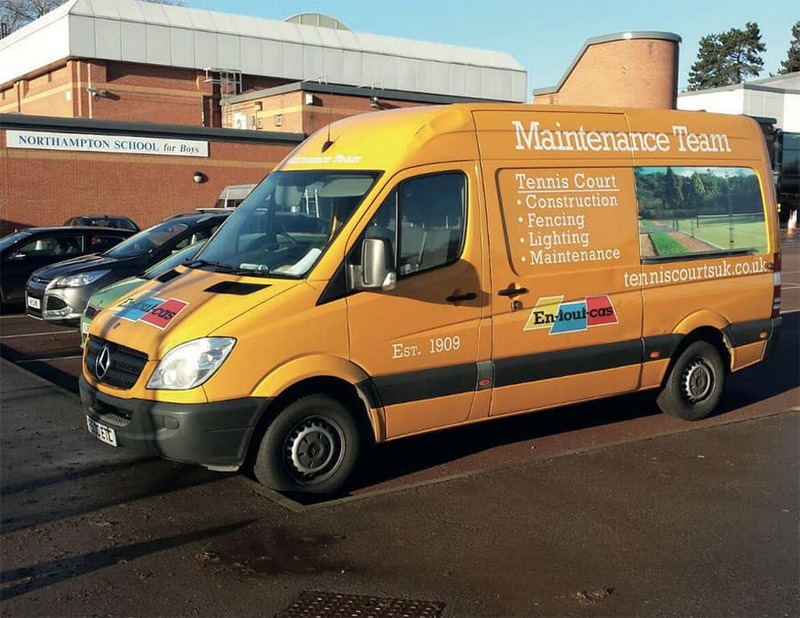 EnTC Tennis Courts Maintenance is endorsed by Elliott Construction, En-Tout-Cas, Anglia & Midland Sports and Cotswold Tennis Courts. The image above shows the difference between pressure washing and using a Whirl-A-Way cleaner, as we do. The Whirl-A-Way has been used here on top of a previously pressure cleaned court. 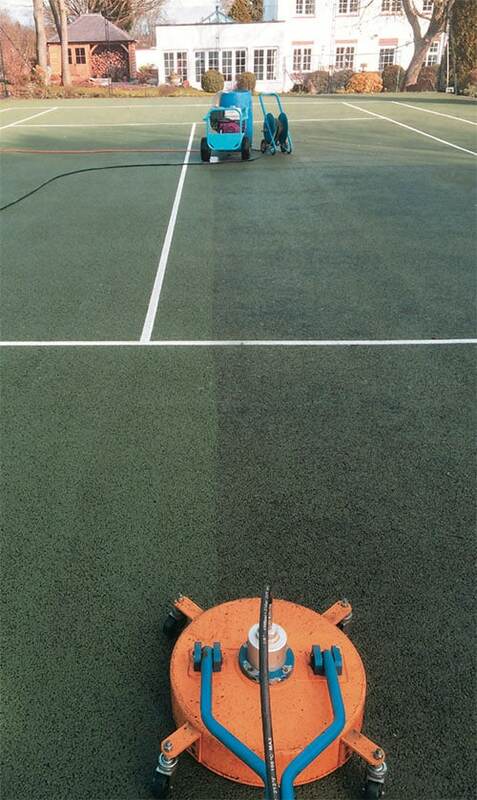 As the picture shows, the process cleans far deeper and more effectively than a pressure wash - forcing out the tell-tale black edge of dirt from the surface of the court. It is especially important, before winter frosts, that dirt and moss in the surface matrix is cleaned out. This ensures free drainage. 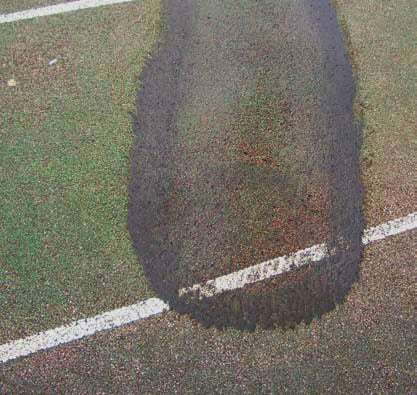 If not, when it freezes, ice expands and breaks out chippings This will spoil your tennis court, such that a full resurface is then required. A deep clean by our own trusted, trained technicians will fix the problem. The deep clean, and subsequent treatment with moss killer will inhibit re-growth of moss and algae. This will ensure your tennis court drains, restoring the grip, performing at its best and lasting many years longer. We recommend repainting every five to seven years and resurfacing every ten to 15 years. For further information, please call 01832 272993 and speak to The Maintenance Team. 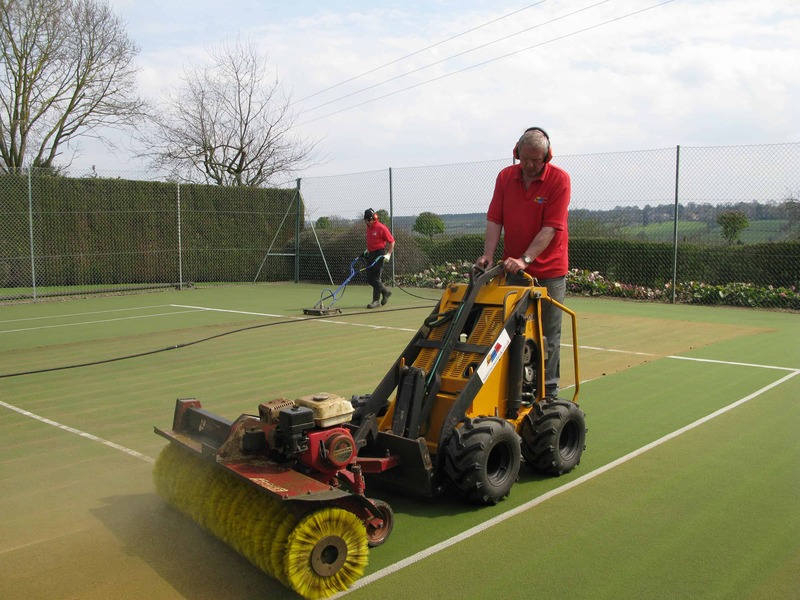 Having your tennis court cleaned and maintained by experienced, skilled and trustworthy technicians with professional purpose-built equipment will remove dirty sand, and de-compact the surface. 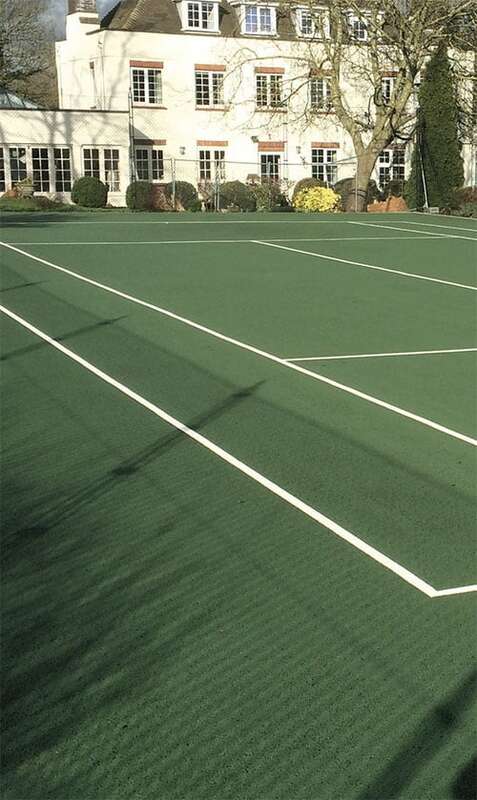 When the correct grade of clean sand is replaced and evenly distributed, the results is a clean, safe fast- draining court that you can enjoy as you did when it was new. Floodlights (apart from LED lights) lose approximately 10% of their power every year. We can re-lamp and clean your lens. Amlight aluminium lighting columns should be replaced after 20 years and we offer a service to do this, rewire and fit new lamps at the top. The bases and underground wiring are generally fine and so it is possible to renew and upgrade for far less than the cost of a complete new system. © 2019 EnTC Court Maintenance Ltd. All Rights Reserved.